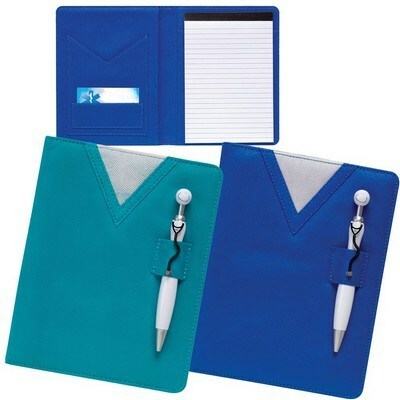 Look funky while writing with the Scrubs Notebook with Swanky™ Stethoscope Pen. This is a Stitched fabric notebook with replaceable lined paper pad and two inner pockets. 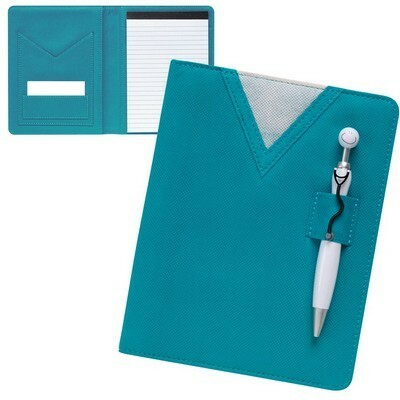 Look funky while writing with the Scrubs Notebook with Swanky™ Stethoscope Pen. This is a Stitched fabric notebook with replaceable lined paper pad and two inner pockets. 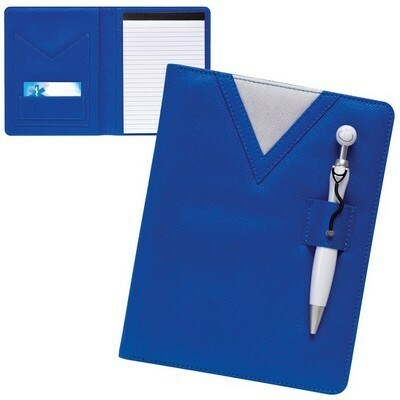 It also includes a pen loop with unimprinted white Swanky™ Stethoscope Pen. Now add a touch of professionalism with this notebook. Imprint your logo on this Pen to help promote your brand better.